No-prep Kindergarten bell ringers / morning work for the ENTIRE school year! Includes EDITABLE sight word sheets and name sheets! 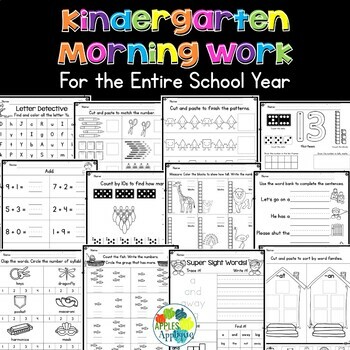 This morning work packet includes enough pages to give your learners something new every day of the school year! 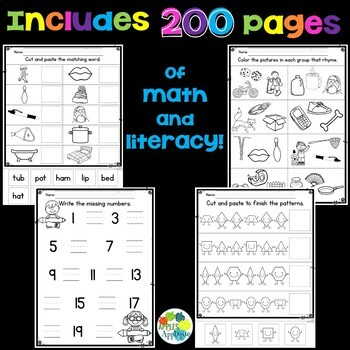 200 pages of simple, no-prep activities cover a wide variety of literacy and math skills. Use a new page every day, or repeat some pages as often as needed to best support your students’ unique needs. Includes EDITABLE name sheets for tracing, writing, and letter identification. 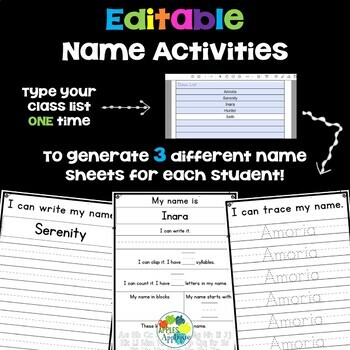 Just type in your class list ONE TIME to generate 3 different name sheets for each student! 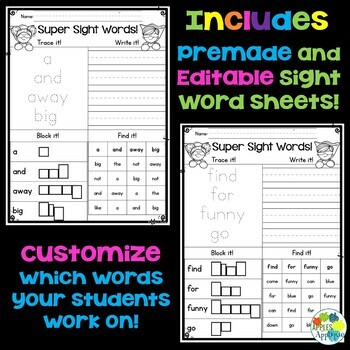 Includes both pre-made and EDITABLE sight word sheets! You might also be interested in these great products! If you have any questions about this product, please contact me before purchasing. Don't forget to check out my other classroom printables, and please return to leave some feedback! This product is for your own classroom or homeschooling use only-NOT for commercial resale.